Rising Democratic socialist star Alexandria Ocasio-Cortez explained to Trevor Noah on “The Daily Show” Thursday how she planned to pay for the ideas that she campaigned on in her stunning primary defeat over fourth-ranking House Democrat Joe Crowley (NY). After Ocasio-Cortez went through the main things she wants government to pay for, including Medicare for all and education, Noah brought up the more practical side of things. A meeting with a Nobel Prize economist was likely warranted given that Ocasio-Cortez faced intense criticism for getting basic facts about the unemployment rate wrong in a PBS interview earlier this month. She later tried to walk back her remarks. 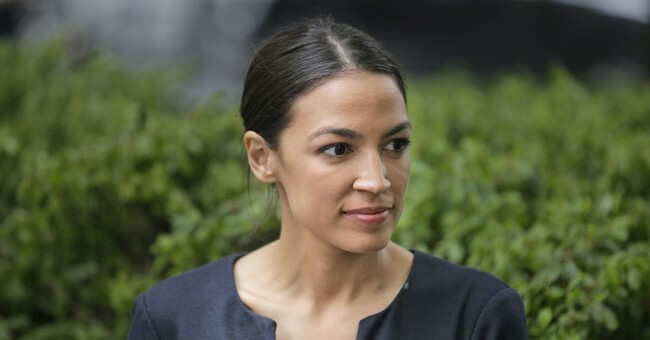 However, having met with this prize-winning economist, Ocasio-Cortez presented a plan for getting money for her proposals, arguing first for raising the corporate tax rate. She concluded by calling for a “reprioritization” of funds away from defense spending. “That is a decision that requires political and moral courage from both parts of the aisle,” she emphasized.